“People been hitting me up like, ‘I’m gonna bash your head in,’ ‘you f—-t,’ ‘I’m gonna kill you,’ ” Lil B told MTV News. The rapper — who said he is, in fact, a heterosexual — said the title refers to his happiness in life. 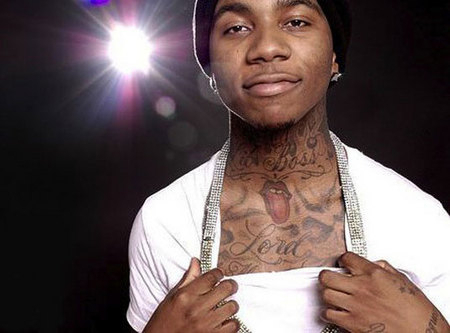 He added that he supports the gay and lesbian community and wants to “push less separation.” In addition to the death threats, Lil B says that some of his fans turned on him after announcing the album title. Something smells fishy in the market. OK I admit that I did not watch the video, but I’m more concerned about the song title “I’m God.” I find THAT to be disturbing. I couldn’t care less about the album title “I’m Gay” or whether or not he’s a homosexual. Why do you find that that disturbing? It’s a FRAKIN’ TITLE OF A FREAKIN’ SONG! Dude calls himself “Based God” just to let you know. He’s not referring to himself as The Christian God/any God/devine entity. It’s like Jay-Z calling himself Young Hova The God/God MC. Look no further into that. Anyway, Lil’ B is a horrible rapper. Yeah bruh, but Jay on some whole notha level (demonic craziness) Dangerous and irresponsible. I don’t care if it’s just a song title or not, I’m uncomfortable with it. I’m also uncomfortable with JayZ calling himself “Hova”. I don’t believe folks should put themselves on the same level as God. That’s my opinion. I understand your opinion. *not being sarcastic in any way* You can’t do anything about it though. The original meaning of gay does mean ‘happy’. Look it up in the dictionary. It’s because it’s been appropriated by homosexuals that it has become synomous with their community. I don’t know why they are threatening this guy over a damn CD title. Don’t folks have better things to do?? I’m more concerned about the fact that people even know who he is to send him death threats about an album title…..who in sam hell is he? You’re out of the hip hop/rap loop not knowing how he is. He’s well know in the Bay Area. He’s TRASH! HOT TRASH! 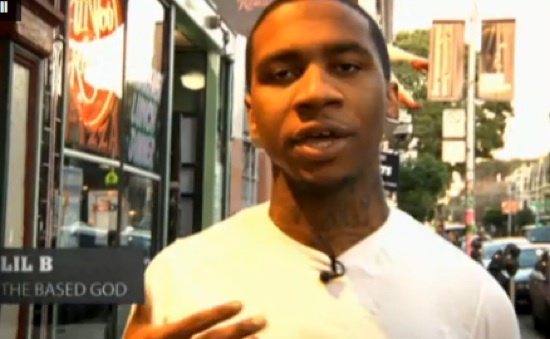 Youtube his song “Based God”. LMAO! It’s so bad it’s funny. Dude is going to sell 37 records. Even though I dont keep up anymore, who in the world cares about some local Bay Area rapper dude? Speaking of Bay Area rappers, what happened to E-40? He got a cool-azz flow, but doesn’t get his deserved respect. aqua boogie, what do you mean what happened to E-40? He’s still around. He just dropped an album last month and he had an album out last year.